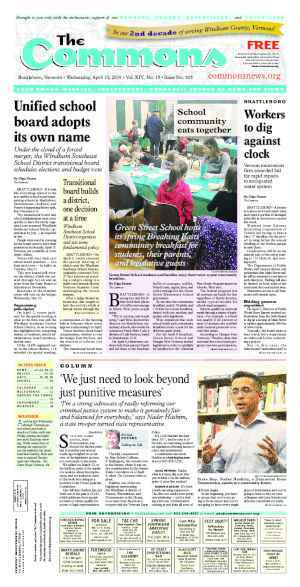 BRATTLEBORO—The Brattleboro Selectboard will hold an informational meeting for the public to review the town budget and ask questions before the special referendum to approve or reject the municipal budget. The meeting is at Oak Grove School, 15 Moreland Ave., on Wednesday, April 9, beginning at 6:30 p.m.
All registered voters can vote on the ballot question. Residents can register to vote up until 5 p.m., April 16. Absentee ballots will be available in the Town Clerk’s office in the Municipal Center, 230 Main St., starting April 8. The clerk’s office can also mail ballots. 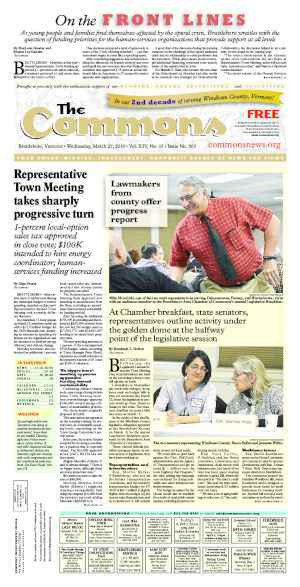 The $16 million budget passed by a landslide at Representative Town Meeting last month. According to Town Clerk Annette Cappy, 56 meeting members signed a petition to bring the budget to a town-wide vote. The concerned meeting members filed a petition with Cappy on April 1. Budget discussions at times turned heated this budgetary season. The town faces a proposed property tax increase of 8.5 cents per $100 of assessed value. During one exchange at Representative Town Meeting, meeting members told the Selectboard it needed to reduce costs. Selectboard chair David Gartenstein countered that the board followed the will of Town Meeting Members. One petition signer, Town Meeting member Ben “Spoon” Agave, said his greatest concerns with the budget were its bottom line and the magnitude of the $14.1 million Police-Fire Facilities Upgrade Project. 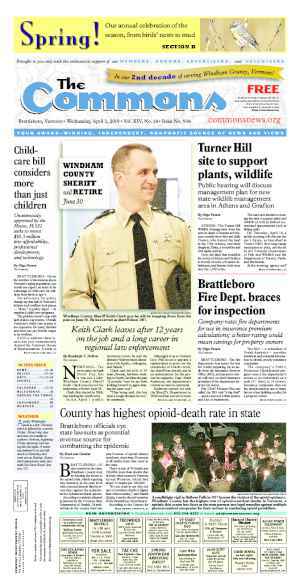 One of the petition organizers, Town Meeting member Lynn Russell, gave an impassioned speech at the April 1 Selectboard meeting, saying, in part, that Brattleboro was losing what made it special. She said as the taxes rise higher, more people leave Brattleboro. 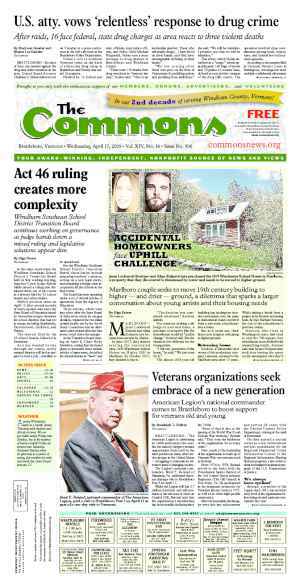 Russell added that she felt disheartened at Town Meeting because no one listened to the townspeople saying that the financial burden of living in Brattleboro had climbed too high. The Selectboard presented a level-service budget to meeting members last month. Board members started working on the budget last year and had asked each department to present its budget. The board also asked department heads to present their budget with 5-percent cut from the bottom line. In a previous interview, Interim Town Manager Patrick Moreland said that the 5-percent budget exercise highlighted that cutting the town budget would mean cutting services or personnel. The board decided against those types of reductions. The special referendum is Thursday, April 17. Voting will be by Australian ballot in the Selectboard Meeting Room, on the second floor of the Municipal Center, 230 Main St. Polls will be open from 9 a.m. to 7 p.m. Originally published in The Commons issue #249 (Wednesday, April 9, 2014). This story appeared on page A8.